“Mom? I miss my friends.” Allie told me this last week. She misses seeing her school friends on a daily basis. As much as I love having them home, these words are music to my ears because it means that she likes school. I always loved school, so I want my kids to have the same experience. 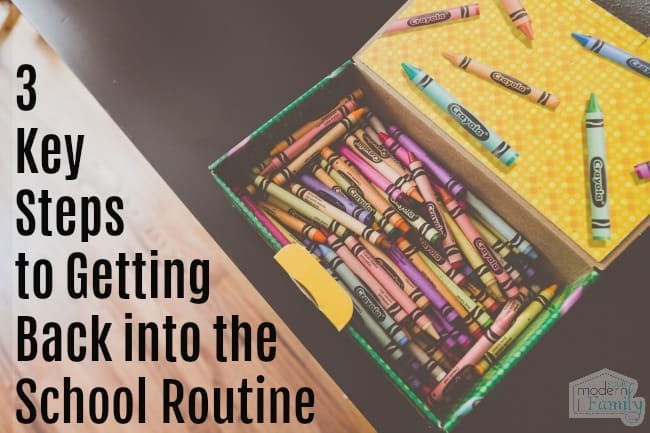 Today I’m sharing 3 Key Steps to Getting Back into the School Routine, so going back to school can be great as you hope it will be for your child. Thanks to Ibotta for partnering with us for today’s sponsored post. With summer closing & school starting back, it’s time to get back into our productive habits and reset our routines. There’s something about summer that invites lazy mornings, exciting afternoons and late evenings. Fall is the time to reset & bring us back to reality. Plus, there is something to be said for the routine that starts right along with school. Back-to-school season means getting back to basics and re-establishing routines for home, hobbies, and shopping. 1- Bedtime slowly goes back to normal. These nights of sitting on the back porch at 9:00, talking and laughing with an ice cream cone in our hand will have to come to an end as the school year inches closer. Bringing ‘summer bedtime’ back to ‘school bedtime’ goes much smoother with a gentle progression. The best way that I have found to make this a smooth transition is to move bedtime up by about ten minutes a night. If our kids are going to bed at 9:00 now, they will start going to bed at 8:50 tomorrow night. The next day they will go to bed around 8:40. It is best to do this over a two or three-week time frame, but it just depends on how much time you have to cut out of your child’s bedtime. School shopping alone is more relaxed, without a doubt, but if you want to build your child’s excitement for school, take him with you. Download the Ibotta app if you don’t have it and make your list. 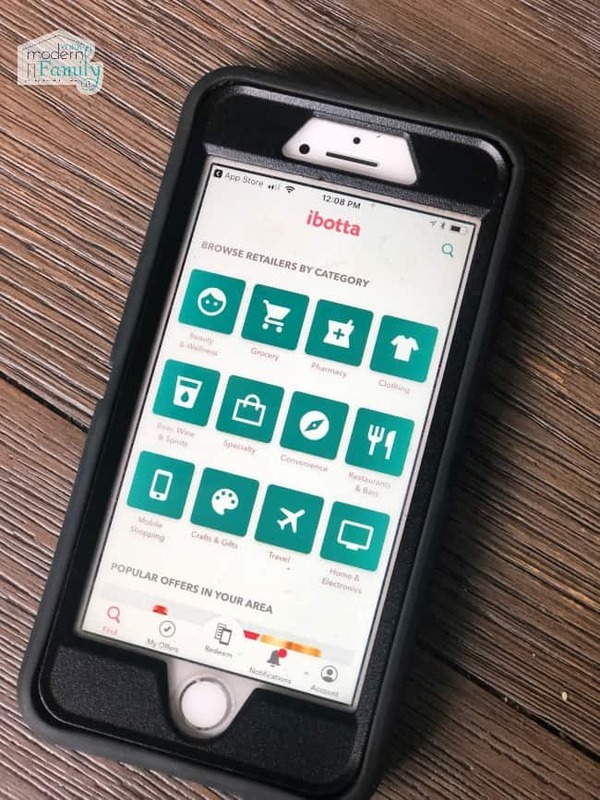 Ibotta is a cash-back and rewards app that gives you a better way to save time and money while shopping. We use Ibotta online and in the store (either way, you do it, you get cash back.) 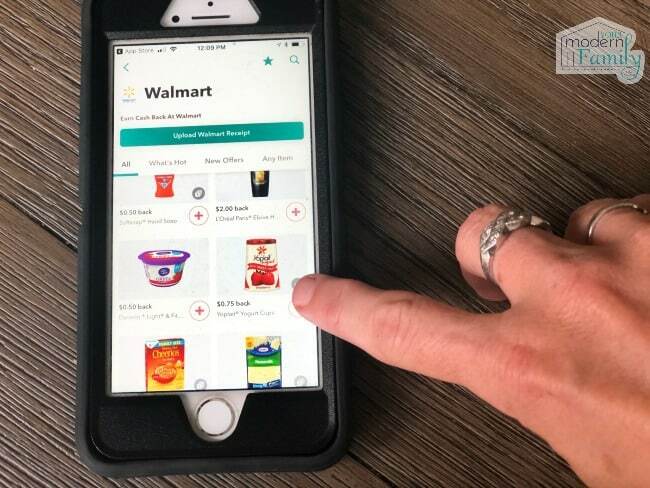 They work with hundreds of CPG brands and mobile partners like Walmart.com, ULTA.com, Uber, Postmates, Drizly, Overstock.com, Backcountry, HotelsTonight, ASOS, among many others, so you’ll be able to get what you need for back-to-school, including those fall outfits. It makes sense that they would partner with so many companies since they have a pretty simple goal: help consumers. 3- Mealtimes become mealtimes again. While our kids always eat three meals a day, plus some snacks, the lines are blurred in the summer. On the days when they wake up at 7:00, they might not have breakfast until 9:00. They are eating lunch while they’re running out the door to play with a friend. Dinnertime has become a “When-we-are-done-playing-outside time.” The schedule of school days doesn’t allow for this type of ‘whenever we want’ eating plan, so getting the kids back onto a regular eating schedule is key to keeping them full during the school day. Remember that while summer is fun, getting back into a school routine can be fun, too, if you do it in a way that is relaxing and exciting. Let your kids help you make the grocery list, take them shopping and make bedtime a relaxing and enjoyable time, complete with a story before you tuck them in. They won’t dread the end of summer, but will instead look forward to the start of a new year. Maybe you can even make a fun plan for the holidays (like ice skating or seeing a great show on ice) using the money that you save throughout the year with Ibotta. Luckily, getting cash back with Ibotta is easy! It is always so hard to get back into the routine….great suggestions – thanks! Great tips. It’s always a challenge to get back into a routine. I love back to school time, but the change in routine is always a little stressful. These tips are great! thanks for sharing your ideas – super helpful! I love iBotta and these are such great ideas for making back to school easier. I especially love the meal time advice. It is so easy to get caught up and busy and not connect. Not ready for summer to end, but love these back to school ideas! I love these tips and the Ibotta app. We use it all the time. Thanks for these great tips. If this comes naturally to you, keep doing your thing. If it doesn’t, try to organize yourself, your classes, and your assignments by levels of importance. Not that each of your classes isn’t as important as the next, but micro-manage everything involving a due date and make note of the time necessary to complete it.